Triple carburettor conversion to up-grade your existing engine from DBA to DBD. 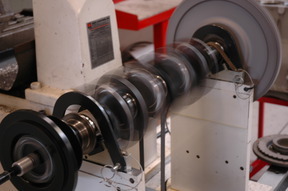 We now offer a supply and fit service to convert the DB2/4 MKIII DBA engine to triple S.U DBD specification. Please note the underneath of the bonnet and the bulk head will require modifying as part of the conversion. We can include the upgrade as part of a complete engine re build, unleaded head conversion or the kit can be retro fitted here in our Workshops, without any modifications to the engine. Please contact us to discuss further options and your personal requirements.